Fireplace Decorating: Reveling in the beauty of what used to be an ugly beast. Reveling in the beauty of what used to be an ugly beast. 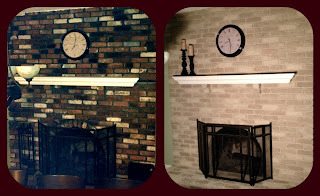 My husband and I purchased a house 2 years ago with the ugliest floor to ceiling brick fireplace. It was truly a dark, dreary eye sore and since our living room and dining room are a large open space it made both rooms look like a dungeon. Last week I ordered your product in the twilight taupe. I should note, It was very helpful to have everything you need bundled up into one package, right down to the masking tape! The base coat took FOREVER, apparently we have a very porous fireplace. I ended up priming it first and then applying the base coat paint. 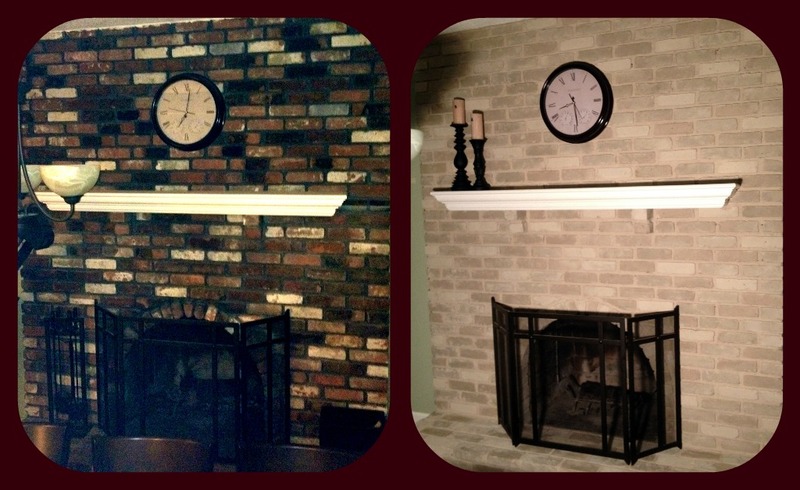 With that said, I am astounded by the difference in our fireplace after using brick-anew. The video was extremely helpful in understanding the steps. The results are still fantastic! The photos speak for themselves! Unbelievable! I bought the clear coat and will apply that soon, for now I just revel in the beauty of what used to be an ugly beast. Feel free to share them. Thank you! - Julie R.